The Cebu Sinulog Festival is celebrated mainly in Cebu City in the Philippines on the third Sunday of January every year. It is one of the popular Philippine festivals. 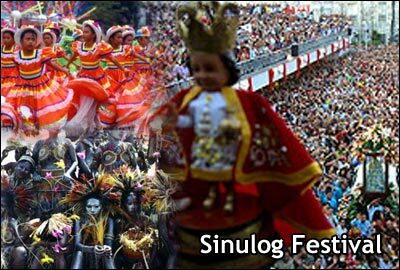 The annual Sinulog Festival is also celebrated in Maasin City in Southern Leyte and also in Balingasag in Misamis Oriental. The Sinulog Festival is one of the grandest, most colorful and most distinguished festival in our country and lasts for nine days. The final day features the Sinulog Grand parade. 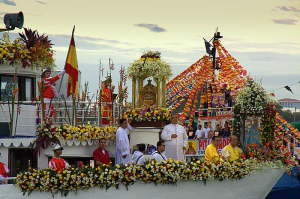 The Cebu Sinulog Festival is celebrated to honor the Santo Nino or the child Jesus while commemorating the Filipinos Pagan origin and their transition to Roman Catholicism. The main attraction of the celebration is the numerous participants clothe in bright colored costumes and dancing to sounds generated by native gongs and drums. A day before the parade, a fluvial procession is held at dawn with the statue of Sto. Nino placed on a pump boat full of flowers and candles, and transferred from Mandaue City to Cebu City. The procession ends at the Basilica where Christianization or the acceptance of Roman Catholicism in Cebu is re-enacted. A more solemn procession takes place in the afternoon. The streets of Cebu City are lined with a lot of vendors and pedestrians who all want to witness the street dancing. 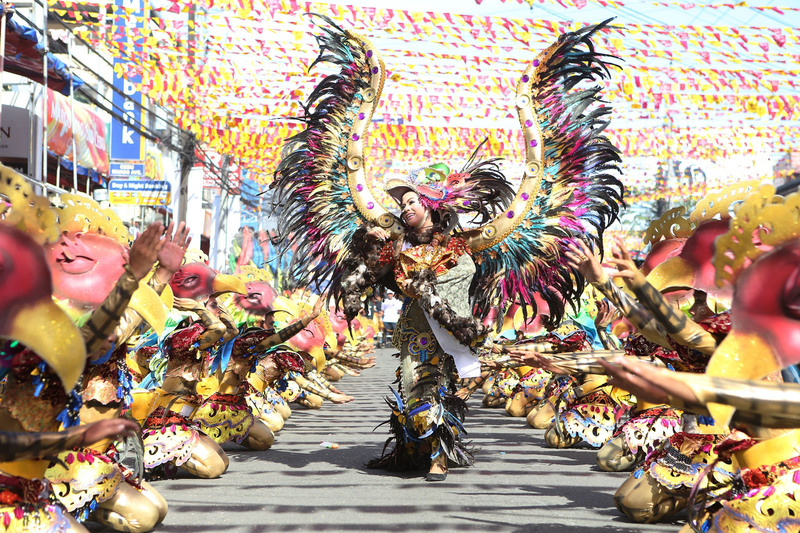 The dances are categorized as Sinulog-based but lately with a Latin flavor. The Sinulog dance consists of two steps forward and one step backward and done with the sounds of the drums. Many tourists witness the occasion after its promotion as a tourist destination. 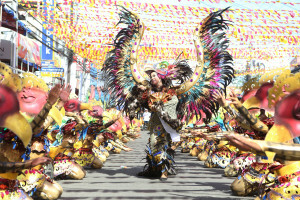 A contest called the Sinulog contest is participated in by contingents from different parts of the country and is held at the Cebu City Sports Complex. The Sinulog sa Kabataan is also part of the celebration and is performed by the younger generation of Cebu a week before the Grand Parade. A Pontifical Mass is held by the Cardinal with the assistance of bishops of Cebu on the feast day at the Basilica and before the parade. It’s more fun in the Philippines when you witness Cebu Sinulog Festival!